Barr. Odera Onaogu Throws A Big One At LakeChad Palace Hotel For His Girl Tonight!! 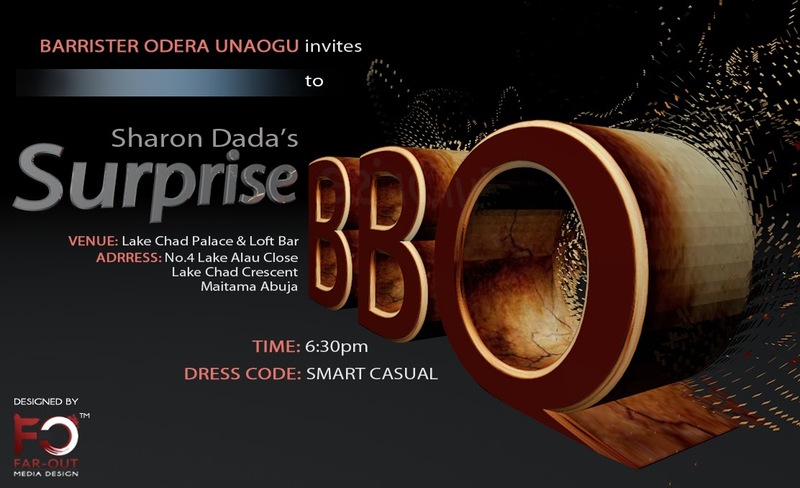 CEO LakeChad Palace Hotel Abuja and Lydam Ventures Ltd Barrister Odera Unaogu plans an evening of elegance and class as he invites his friends and well wishers to a surprise party for his girlfriend "Sharon Dada" with celebrities from Nollywood, Ghollywood and as the invitation card (above pic) says a host of other surprises lined up just to wow your evening, just keep that little fingers of yours crossed but don't hold your breath for too long. LOGiN Bloggers Network Storm Lagos!! !